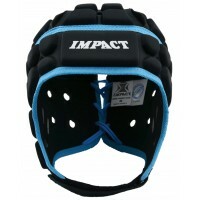 Impact Rugby has now launched in the UK. Originally founded in Australia, we have now recruited a world class leadership and management team from top business and rugby brand professionals for the UK. Because we understand your club is unique we take every care to provide you with a personalised service to fulfill your needs. 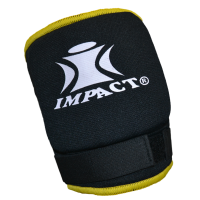 We will always treat you as a valued customer, not just an email address. 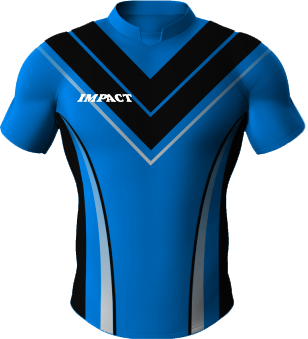 rom fully sublimated custom made rugby kit, manufactured here in our UK factory, through to fully sublimated custom built head guards designed by you and manufactured by us in Australia, we can cater for all your on or off field requirements. 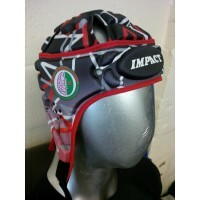 Whether you require a single custom built head guard or you want to kit out an entire club we will not be beaten on our quality, delivery, price, service or attention to detail. 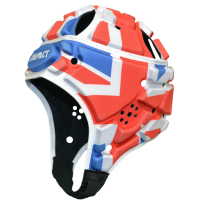 Multi directional high stretch sleeve10mm High Impact flex panelled EVA padStretch velcro closures f..
Classic Union Flag designWhite trim and white laceWhite Impact Rugby Branding IRB Approved head..